Have you considered the lifecycle for your operating system? Knowing key dates for the lifecycle of Microsoft’s operating systems can help you make informed decisions about when to upgrade your OS or hardware. Some recent announcements from Microsoft make it clear that it is taking a more aggressive stance to phase out its old operating systems and a few deadlines are coming up soon that should be taken into consideration. 07/29/2016: As long as your computer is currently running Windows 7 or Windows 8.1 (with a legitimate license) the upgrade to Windows 10 is free until July 29th. When you perform the upgrade, your hardware configuration is registered with Microsoft. That means Windows 10 can be clean installed on that device in the future (even after the free deadline has passed) and remain activated, but the same key cannot be used for another device. 04/11/17: Microsoft will no longer provide support for Windows Vista after April of 2017. This includes automatic fixes, updates, or online technical assistance. Without Microsoft support, you will no longer receive security updates that can help protect your PC from harmful viruses, spyware, and other malicious software that can steal your personal information. 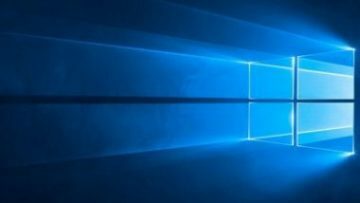 07/17/17: Microsoft recently announced that computers based on newer chips from AMD, Intel and Qualcomm will need to be running Windows 10 to be guaranteed continued updates in July of 2017. Also, at the end of October 2016, PC makers will have to sell new machines with Windows 10, rather than Windows 7 or 8.1.